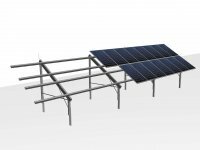 The successful TRIC range of solar mounting racks from Wagner & Co is durable, easy to install and features clever details. For the first time at the Intersolar 2013 the telescopic TRIC end clamp was introduced. It allows completing module fields with a pleasing finish without protruding rails. NEW - TRIC telescopic end clamp – for an optically pleasing finish of module fields. 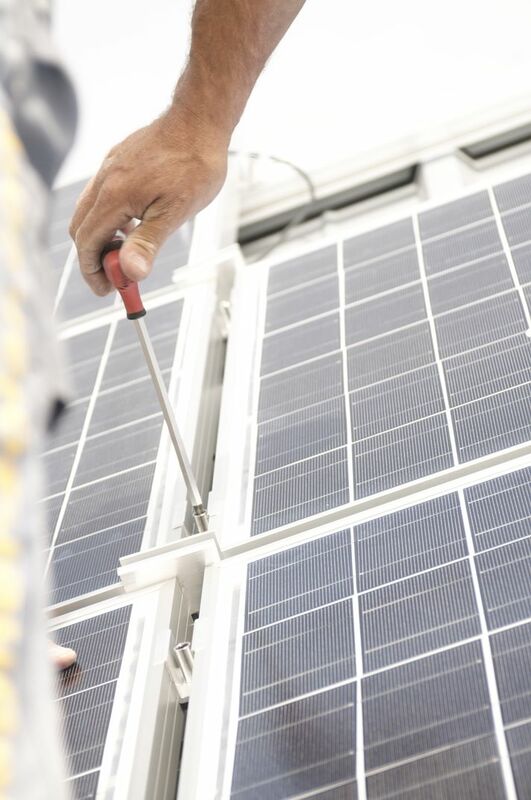 TRIC is the flexible TÜV certified range of mounting systems manufactured by Wagner & Co Solar Technology, designed to safely hold solar installations in place over their entire lifetime. On the Intersolar 2013 in Munich that took place from June 19 to 21, TRIC was featured in all its versatility. For the first time the telescopic TRIC end clamp was presented. It serves to complete module fields in an optically pleasing way and to compensate for irregular or insufficient rail lengths. The TRIC telescopic clamp simply is slid onto the mounting rails at the edge of the module field and then affixed, smoothly covering the rails’ ends. The newly developed clamp is available in blank or black for all module frame heights and can be used with all module types. TRIC stays. TRIC mounting systems stay on the roof and stand up for what they promise. This is underscored by the consequent use of high quality material like aluminum and stainless steel, the official type approval of relevant components and the independent TÜV.com certification. TRIC is jointly developed by Wagner & Co and Frankensolar and manufactured in Germany. TRIC is simple. A clearly arranged product family, the TRIC hallmark is its built-in construction kit intelligence. A few standardized components quickly become optimized solutions for mounting challenges on all roof types. For installers this means faster and easier installations. TRIC is clever. TRIC convinces with thought out components and clever details. Take for example the Aluminum roof bracket with its triple adjustability, or the patented module fastener TRIC clip that allows for an even faster and still simpler module installation. The mounting system is elaborately designed to the last detail. It requires only a few components and thus goes easy on roofing and facades. Thanks to the system’s flexibility the mounting possibilities are practically limitless. 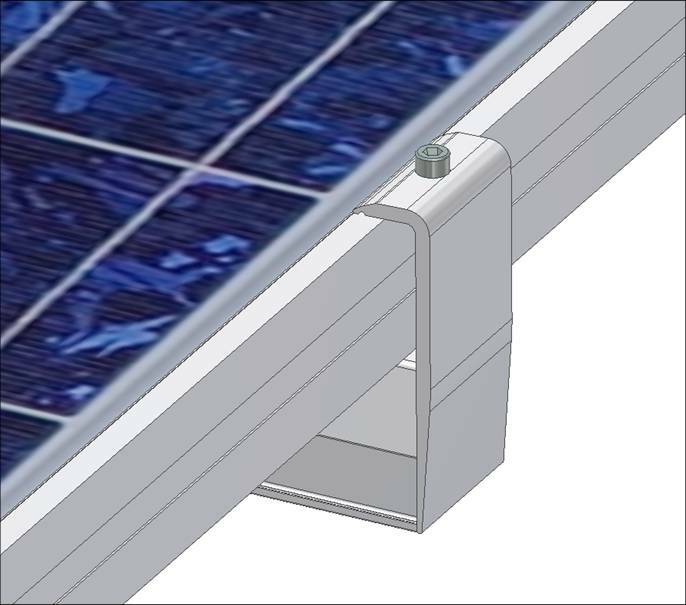 Together with the respective best module orientation TRIC assures high solar returns. TRIC A – the universal roof-parallel on-roof system guaranties an efficient and safe installation. TRIC F – the free standing racking system is innovation on the highest level. It allows setting up modules on practically every kind of flat or tilted underground. It is structurally optimized and easy to handle thanks to a high degree of pre-assembly. 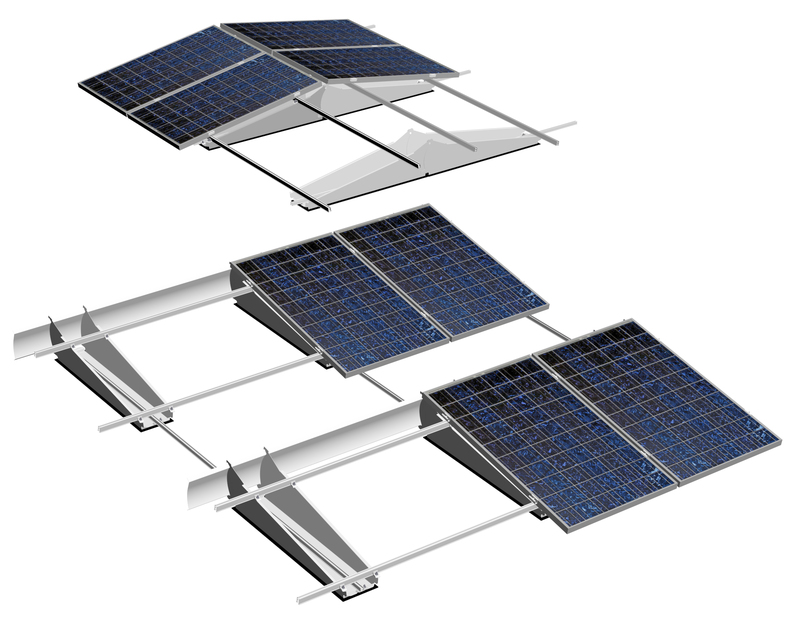 TRIC F pro – the cost effective mounting system for industrial roofs. The system’s main features are its massively reduced dead weight and its stable interlocked module compound that does not need to be joined with the roof. TRIC F box – the easy to install mounting system for industrial roofs. The simple and flexible setup assures extraordinarily short installation times, and the roof area is exceptionally well utilized. TRIC F box is available as a southern and an East West version. TRIC flex – the high-end aluminum and stainless steel greenfield mounting system defines a new gold standard in terms of installation speed and economic efficiency. The mounting angle can be flexibly adjusted, and the same components can be used to set up a system with either southern or east- western orientation. Wagner & Co experts carry out the structural dimensioning and rating at the installation site free of charge. Upon request Wagner & Co also offers turnkey project management. The TRIC system’s details are regularly reviewed, improved and further developed in close cooperation with our installer partners. TRIC was jointly presented at the Intersolar 2013 by Wagner & Co and the cooperation partner Frankensolar. It is available through both companies and their subsidiaries. Contact us to get a first hand impression of the TRIC mounting system quality. The TRIC - concept – simple and fast installation saves time and money. 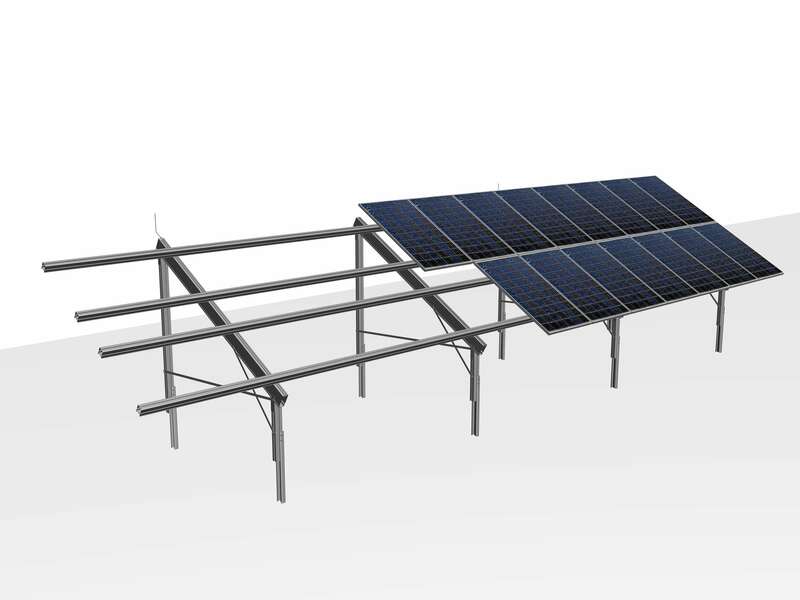 Easy and fast installation of large-scale solar power installations with the TRIC F pro mounting system. The mounting systems for free standing setup are suitable for practically every flat or tilted underground. Bilddownload 1: NEW - TRIC telescopic end clamp – for an optically pleasing finish of module fields. Bilddownload 2: The TRIC - concept – simple and fast installation saves time and money. Bilddownload 3: Easy and fast installation of large-scale solar power installations with the TRIC F pro mounting system. Bilddownload 4: The mounting systems for free standing setup are suitable for practically every flat or tilted underground.